Today’s ink is Robert Oster Dusky Pink from the 1980’s collection. I purchased my bottle of ink from Pen Chalet. Dusky Pink is just that-a dusky pink, almost a purple. 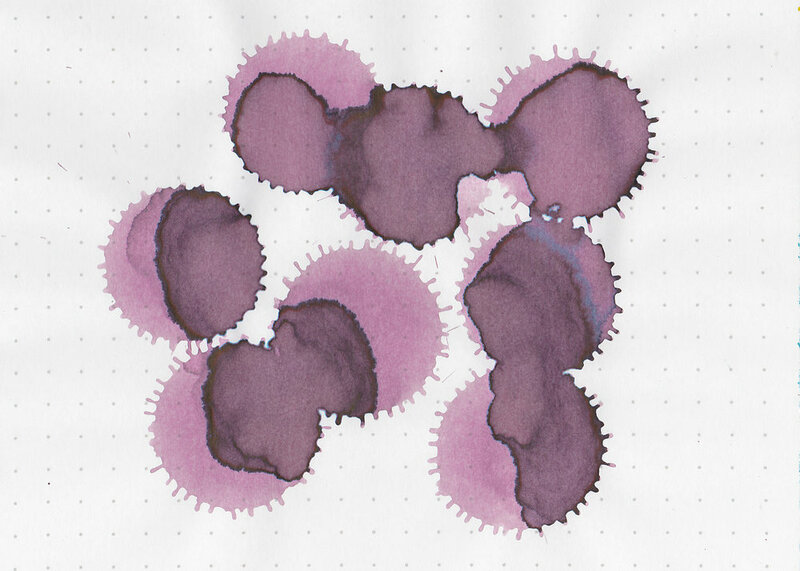 In large swabs the ink looks more purple. You can see some of the blue undertone. On Staples 24 lb copy paper there was a lot of feathering and just a little bit of bleeding. Dusky Pink is cooler-toned than Cherry Blossom, but has less purple than Australian Opal Mauve and Viola. Click here to see the Robert Oster inks together. 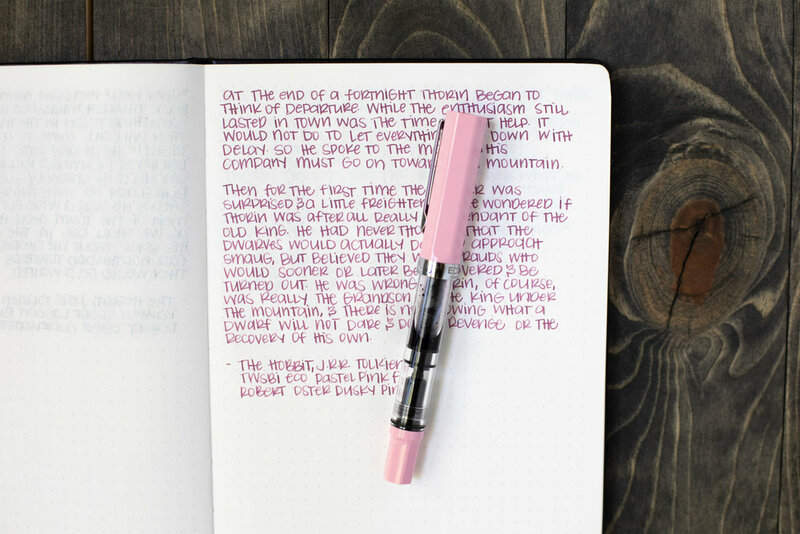 I used a TWSBI Eco Pastel Pink with a fine nib on Tomoe River paper. The ink had an average flow. Overall, I rather enjoyed this ink. It’s an interesting dusky pink, has some nice shading and is cooler-toned than most pinks I have.